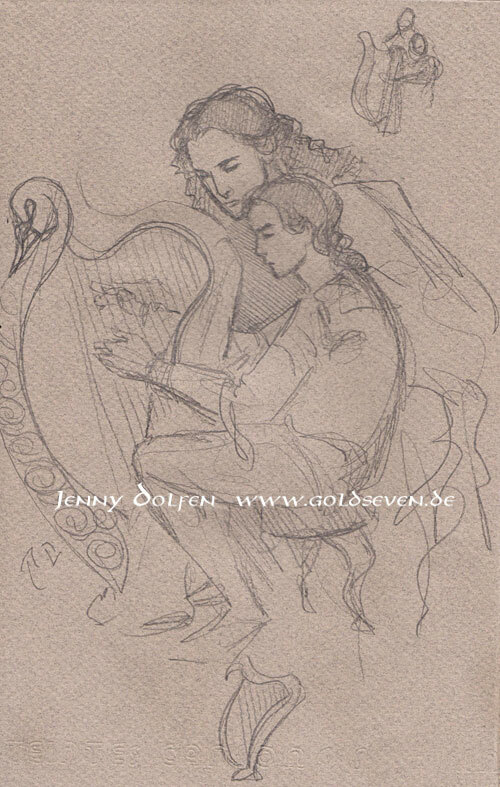 This commission really took me some failed attempts – I couldn’t get two people and a harp to work without reference. It only worked when I grabbed my husband and daughter and had them pose for a few reference shots. 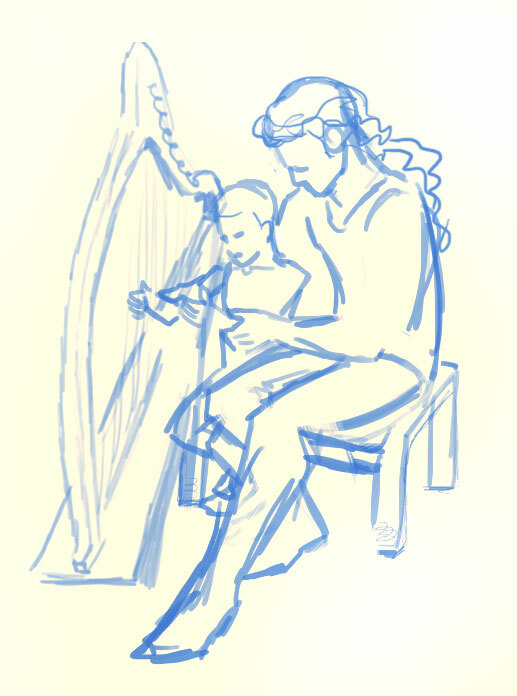 My daughter’s cutely contorted feet then made it into the drawing. 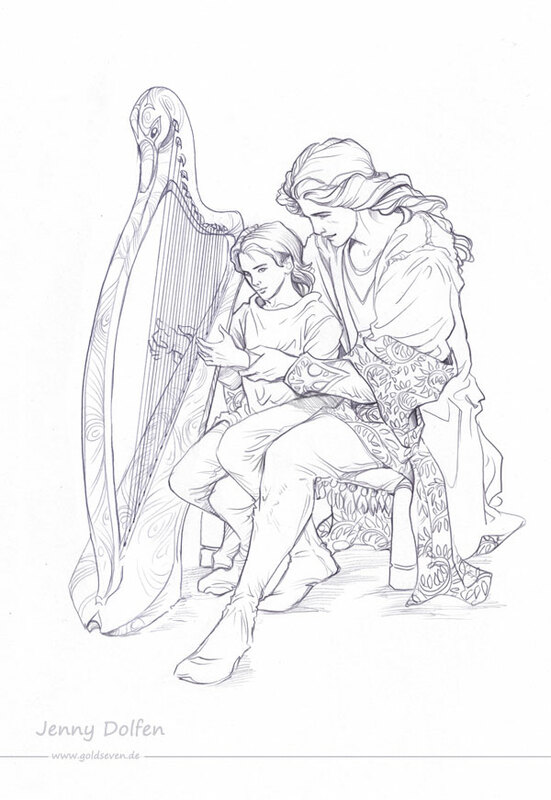 The harp ought to go between Elrond’s legs, I know – but hey, Maglor still has a lot to teach him. 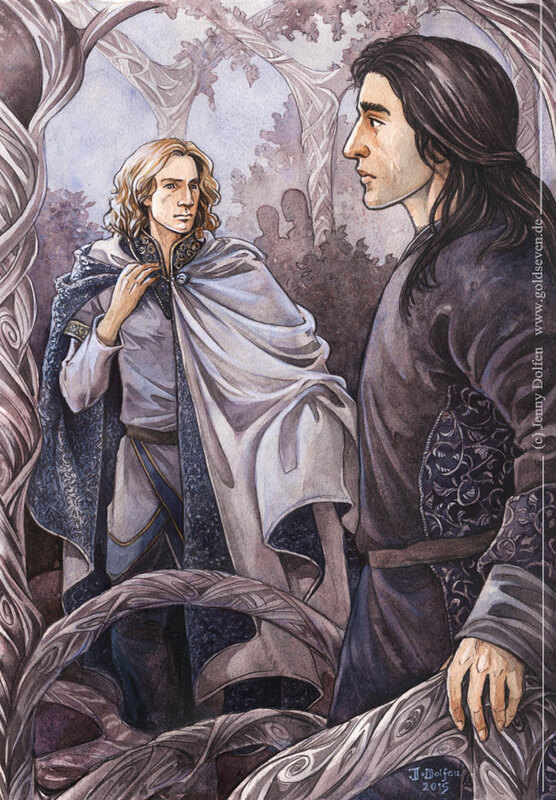 And I really, really had to keep those legs.